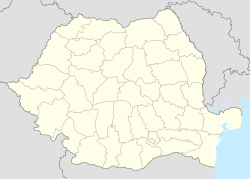 Zagra (Hungarian: Zágra) is a commune in Bistrița-Năsăud County, Romania. It is composed of five villages: Alunișul (Gaurény), Perișor (Bethlenkörtvélyes), Poienile Zagrei (Pojény), Suplai (Ciblesfalva) and Zagra. This page was last edited on 1 January 2018, at 16:50 (UTC).